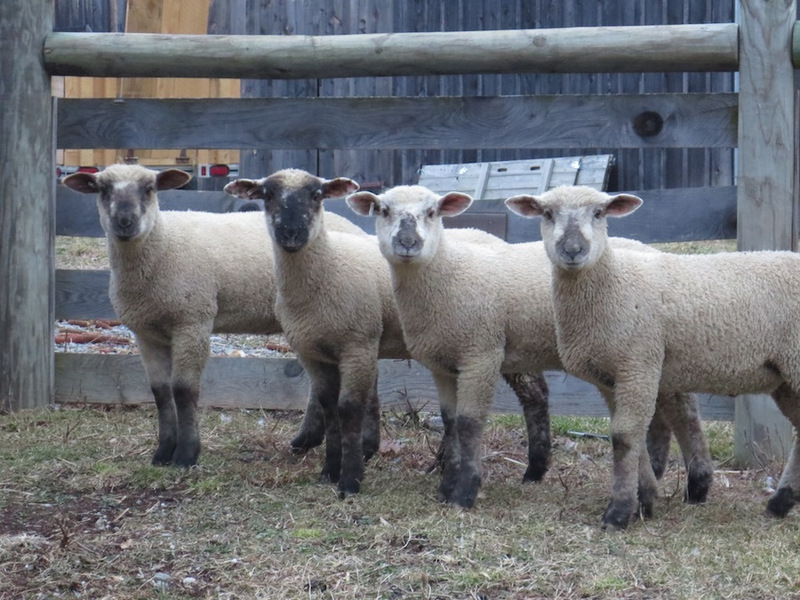 On Thursday we brought home four Dorset/Suffolk wethered lambs. These boys are lovely, their wooled, muscled bodies and docked tails are the image that used to come to my mind, before I started raising Katahdins. The four boys are in the goat's paddock, with its strong fences and access to a barn pen where their water will stay warm and I can feed them a daily ration of organic grain. We have installed a hay feeder on the outside wall of the barn for an additional feeding station. 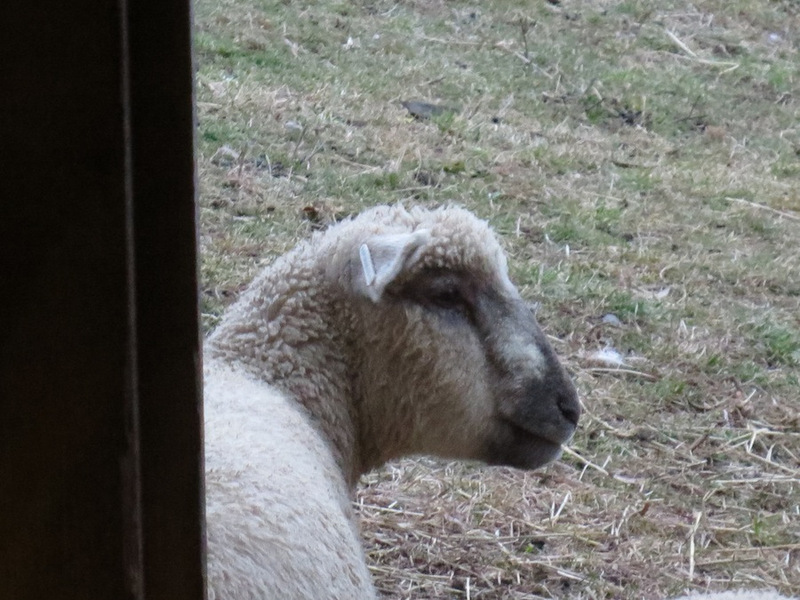 As of yet, the sheep have not ventured into the barn. In an effort to draw them into the pen, I left the lights on inside and their hay is in a pile just out of a lamb's neck reach.These lambs are intended for our daughter's wedding meal in May. Her wish is to serve the kind of meal shared around our own dinner table with the wedding guests. Although the wedding "table " will be considerably larger and a caterer will be preparing and serving the food, I am honored to raise these lambs for our family and friends that will celebrate with us. I have been asked, more than once, how I can choose animals that will end up on our table. Is it uncomfortable? weird? Not really, but I am always ambivalent on butchering day. After all, for months, and in the case of our cows, years, I have been observing these animals daily, noting their gait, body shape, place in the flock or herd. Watching our animals is one of my favorite tasks as a farmsteader. I believe that if I choose to eat meat,and I didn't for 27 years, I have an obligation to eat meat that has been ethically raised or game that has been fairly hunted. Choosing how we manage our land and livestock has clarified my definition of "ethically raised". Additionally when I purchase meat or milk I try to choose so that my parameters of ethical management are met.